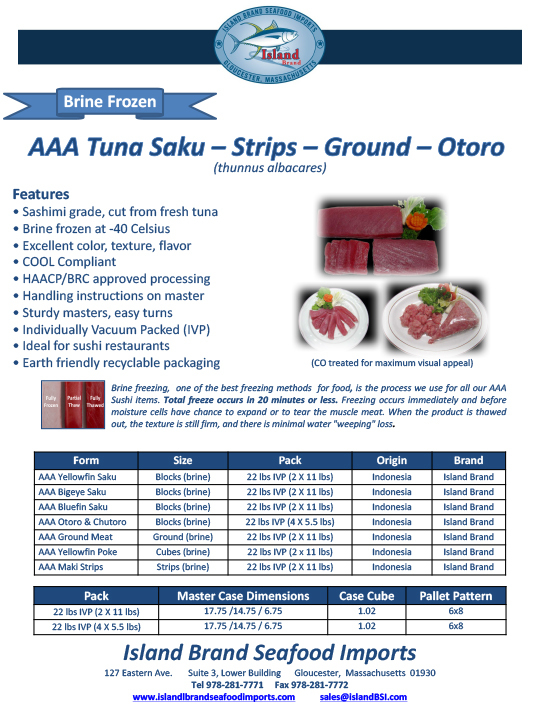 Our line of brine frozen AAA sashimi-grade Tuna—sometimes called Ahi Tuna—is the highest quality available. Our sushi Tuna is used by chefs for searing, sashimi, spicy tuna rolls, maki rolls and more. Our Bluefin Otoro and Chutoro are premium cuts and the sushi lover’s dream. Available in frozen Saku Blocks, Tuna Strips, Tuna Poke Cubes, and Ground Tuna.